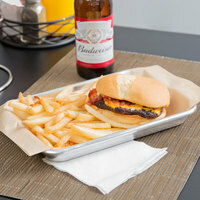 You feel good about the food you serve to customers, so why not feel good about the materials you use to serve them? 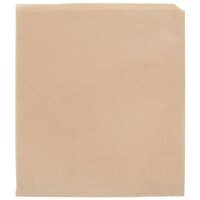 Our green food and deli wrap paper ensures quality for the customer, your restaurant, and the environment. Choose from a variety of sizes for your deli, restaurant, or bar’s unique needs. Also make sure to check out other great items from Choice and Bagcraft Papercon. 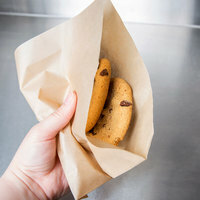 Our green food / deli wrap is made from natural kraft paper stock using an FDA-approved chlorine-free manufacturing process, and soy-blended eco-wax that helps reduce dependence on petroleum. 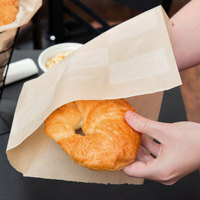 Keep food secure and grease contained with EcoCraft's quality and environmentally friendly food and deli wrap options! 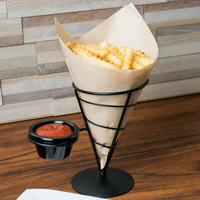 For other earth friendly necessities, try our green paper cold cups, biodegradable plates and compostable plates, platters, bowls and trays, and biodegradable straws! If you're wondering where to buy choice eco-friendly food / deli wrap paper, we have a large selection of choice eco-friendly food / deli wrap paper for sale at the lowest prices.